Getting engaged can be one of the most exciting, thrilling and terrifying moments of your life. Planning to pop the question is a thoughtful, time-consuming process, and on top of it, can be very nerve-wracking. 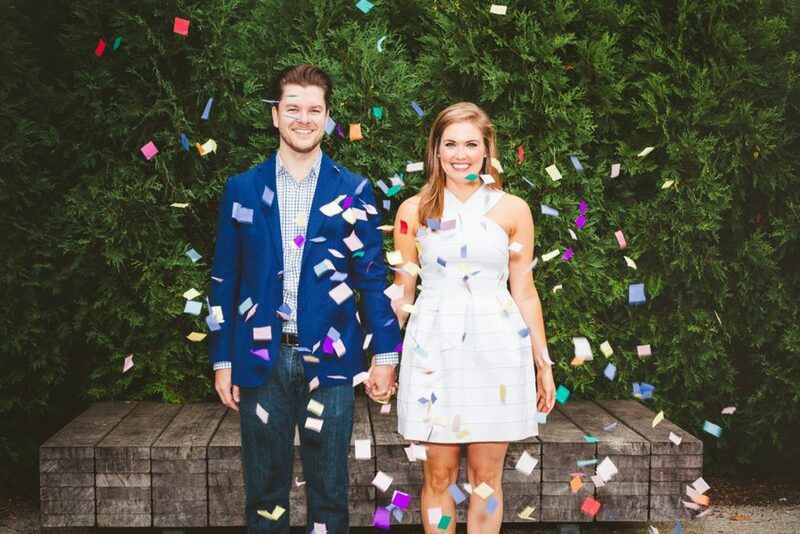 As a Chicago engagement photographer, we understand the emotions behind this exciting and joyous occasion. We would be honored to tell your story through timeless photos that will be treasured forever. 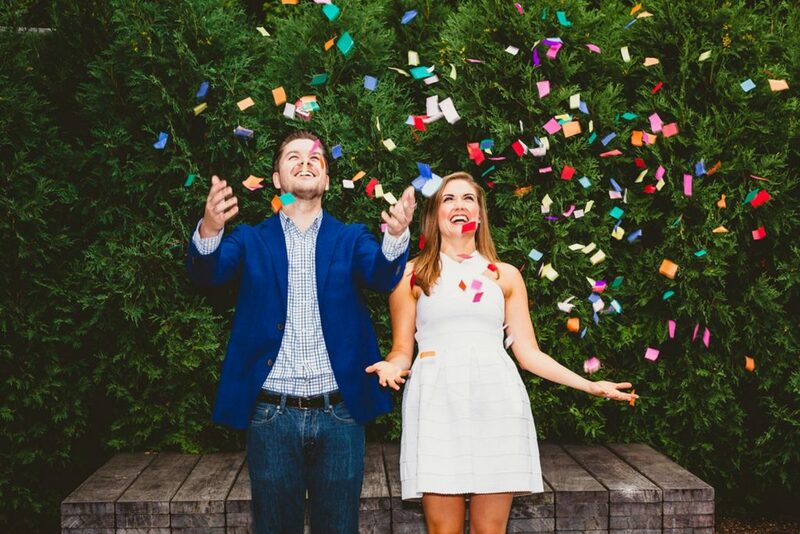 At LakeShore Photography and Video, we hope to make the search for your Chicago engagement photographer as simple as possible, so you aren’t too overwhelmed with planning for the big day. A story that expresses the love and connection between two people is something that will be told for generations. It is something that shows emotional truth and makes you feel deep emotions. Our Chicago engagement photographer captures the authentic, tiny, intimate and imperfect moments between you and your partner that tell the true story behind your love. There are plenty of reasons to have professional photos taken of you and your significant other after they’ve said “yes.” More often than not, couples haven’t had the chance to be professionally photographed together before. Hiring a professional engagement photographer in Chicago gives you the chance to take advantage of this enduring service while showing your story to the world. Some couples might feel like getting professional engagement photos from a professional Chicago engagement photographer can be a waste of time or money, but in reality, there are multiple valuable reasons why you will benefit from hiring a Chicago engagement photography company to take professional photos of you before your big day. 1. Engagement photos can be used for more than just having nice photographs of you and your partner. A Chicago engagement photographer will know just how to take graceful, charming and eternal engagement photos that can be used for your wedding invitation, save the date, to post on your wedding website or to brighten up your wedding reception decor. 2. 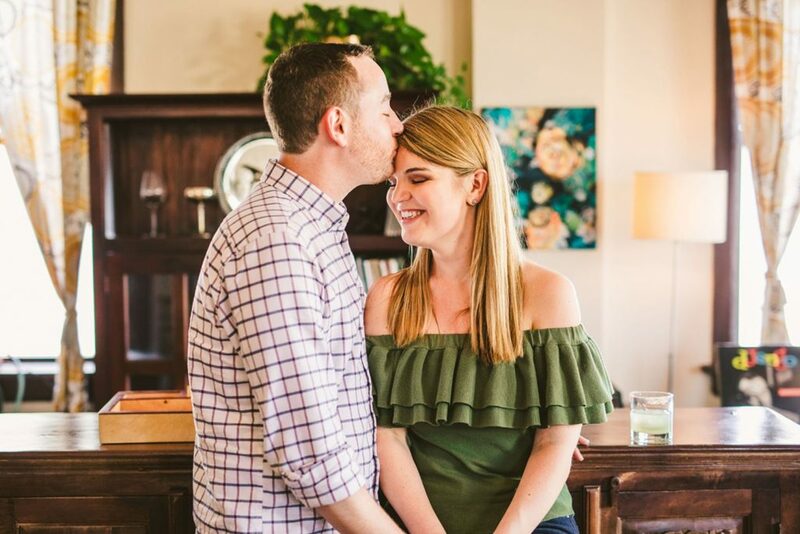 Engagement photo shoots are a great time to connect with your photographer. Getting to personally know your wedding photographer is very important, and will make all the difference in your wedding photos. Ensuring that you like the way your wedding photographer works is key to not freaking out when your big day comes. Chicago engagement photography sessions also give the photographer the chance to understand you and your partner’s individual personalities, so that they get an idea of the style of engagement photography you will like. Minor details like these are essential so that your wedding photographer captures every minute detail that are unique to the two of you. 3. Engagement photos are a great way to capture this time in your relationship. Having your engagement photo shoot at a location with meaning to your relationship is a very cute way to not only have a wide set of of images of you and your partner that differ from the location of your actual wedding but also is a way to forever preserve these memories. 4. Engagement photography sessions are basically a perfect chance to have a trial run for your wedding day. One of the main advantages of hiring your Chicago engagement photographers to take professional engagement photos of you and your partner is that you get a chance to see the pictures ahead of time and determine if there are certain angles or shots that you don’t like, and identify those which you do, before your actual wedding. Couples also get a greater understanding of what it takes to produce incredible engagement photos and therefore can help in the planning for the actual wedding day, scheduling time for photos of the day itself. Even more important, engagement photo shoots are an ideal time to test out your hair and makeup for your wedding. Once you see the photos from your engagement session, you can decide if there’s anything that you would like to change before the real deal. 5. Hiring a professional Chicago engagement photographer gives you the opportunity to feel comfortable in front of the camera. The more time you spend doing something, like getting your photo taken, the more comfortable you will feel at doing it! 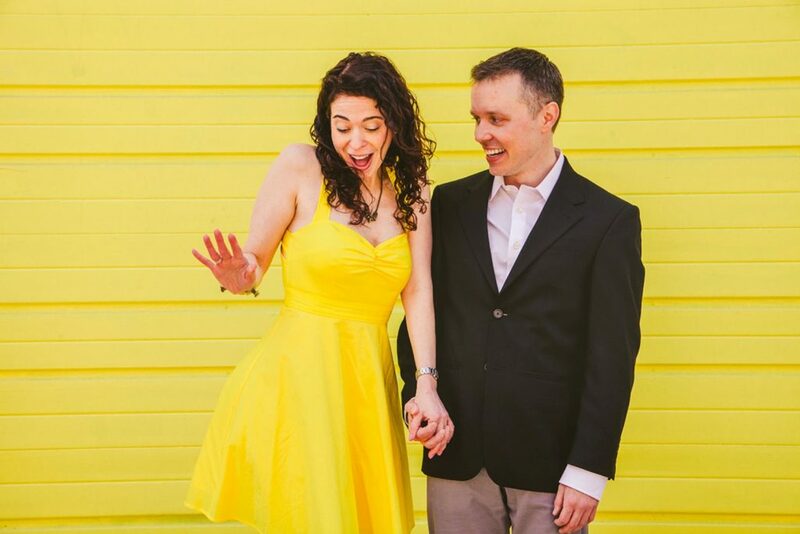 That said, engagement photo shoots are a great time to practice specific poses, try on different outfits, and determine what it is you like best in front of the camera. Reviewing what you like, what works and what doesn’t, will help your engagement photographer know how to capture the bond between you and your partner in the most authentic way to be reflected in each photo. Planning for your wedding can feel like a never-ending experience but for some reason, when the day comes, it goes by in the blink of an eye and feels like the moments before you were married never even happened. As a premier Chicago engagement photographer, our main goal is to create photographs that are as meaningful as your wedding itself, so that you will be able to relive your big day over and over again. The engagement photographers at LakeShore Photography and Video are storytellers, showing the breathtaking and emotional moments that went on behind the scenes, planning for your big day. We want to make sure that not only do you enjoy the style of our engagement photography in Chicago IL but also that the engagement photos we craft of you and your significant other truly reflect your personalities and passion for one another. We are here to make sure that by the end of our engagement session, you have all the photos you might need for any photo albums, invitations or decorations, and that you feel as comfortable as possible in front of the camera. 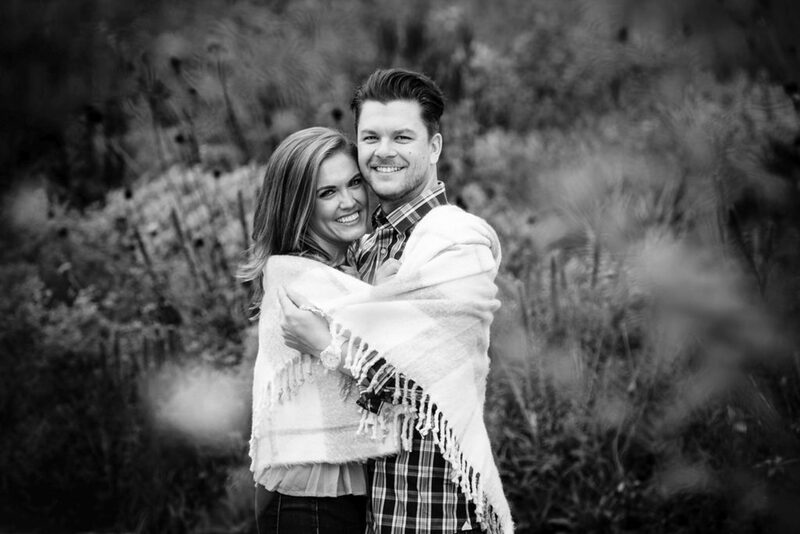 Some couples feel rather camera shy or anxious at the beginning of the engagement session, but with our help, we make sure you are relaxed and opened up. Since LakeShore Photography and Video is located in the heart of Chicago, we encounter lots of different types of weather, as you can imagine. Therefore, we are very flexible when it comes to rescheduling, postponing, or relocating some of our engagement sessions photo shoots. With 385 acres of breathtaking gardens filled with millions of flowers and plants, the options are endless for your wedding engagement photography. Taking engagement photos here will give you beautiful background scenery with all nature has to offer, making it one of the most romantic spots for your pictures in the Windy City. Located in Lincoln Park, Chicago, this zoo provides a colorful set, combining gorgeous animals paired with the Chicago skyline in the background. 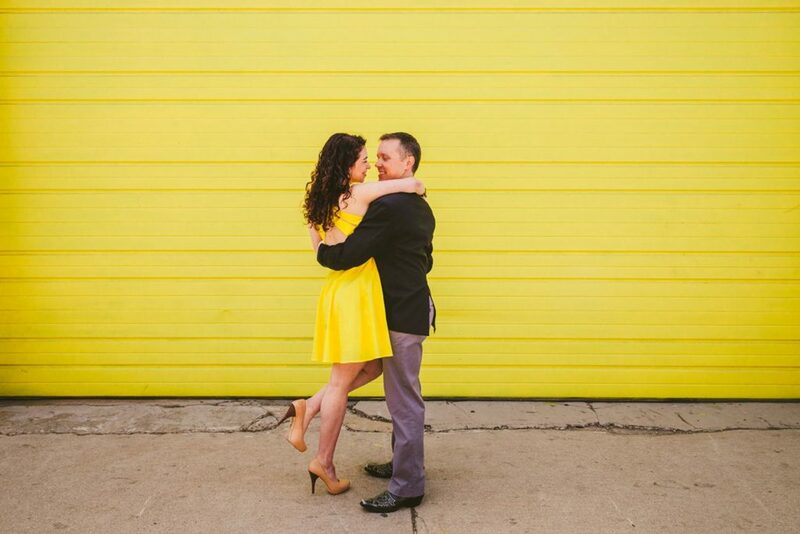 Taking your Chicago engagement photos here will give you the perfect opportunity for vibrant, unique photos. 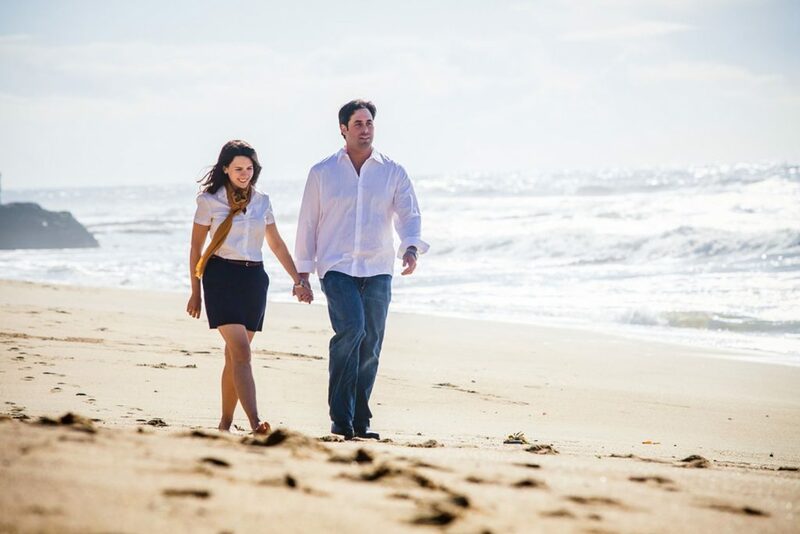 A North Avenue beach engagement session is one you will never forget. With a pathway separating Oak Street and North Ave, you are offered the chance to take photos in two scenes, some on the sand and some along the walkway. From the beach, you have a great view of the iconic skyline, the beach and a park, all in the smack middle of the busy city. The Art Institute is truly one of the most luxurious places to take engagement photos in Chicago. Surrounding the known museum are secret gardens full of gorgeous trees, flowers, ivy and nature. This is a perfect location for a fall engagement photography session, and is one of the most romantic places in the city. The Crystal gardens at Navy Pier is one of Chicago’s most iconic spots. With high glass ceilings and beautiful views of the lake and city, there is no Chicago feature that goes unnoticed in your engagement photos. One of the Windy City’s main attractions is none other than Millennium park, located in the center of Chicago. This park is known for its incredible architecture and nature. Hiring a Chicago engagement photographer to capture exactly when the sun sets behind the skyline and flowers are in full bloom at the Lurie Garden will truly make for insanely memorable and astonishing engagement photos. Located in the heart of downtown Chicago, the Riverwalk is the ideal spot for a wedding engagement photography session after sunset. Sitting just below the bustling streets of the city, along the river, your engagement photographer can capture aspects of the skyline without overcrowding the photos of you and your lover. Sitting on the shores of Lake Michigan, Milton Lee Olive Park gives extensive waterfront views with the city’s skyline in the backdrop. Scenic tree-lined paths surround the water, so you get a taste of both nature and urban ambience, which make Milton Lee Olive Park a great location for Chicago engagement photography. The Morton Arboretum is unlike any other location. With gorgeous greenery, landscaping, trees and colorful blossoming flowers, this is the perfect spot to capture unreal engagement photos for your wedding day. 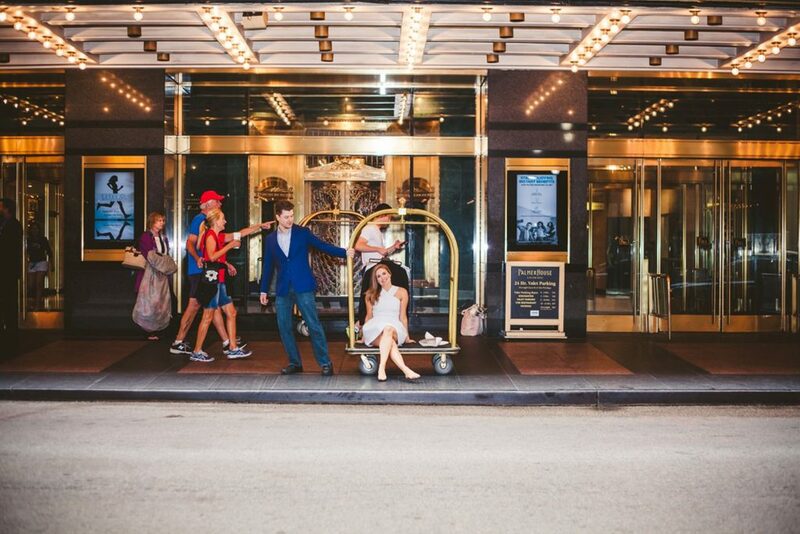 In Downtown Chicago, there are so many choices of fabulous attractions to take your engagement photos. 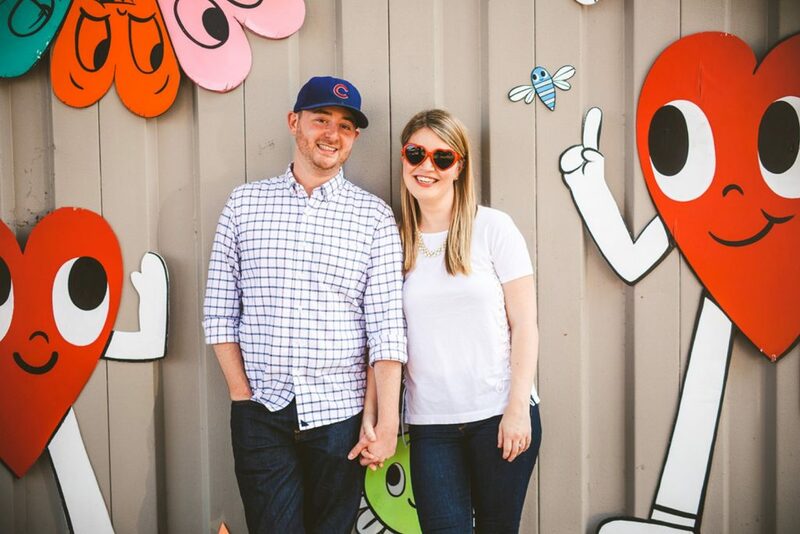 Walking along the Buckingham Fountain, standing on the Kinzie Street Bridge or using the infamous Chicago Theatre sign as your backdrop, an engagement photographer will know just how to utilize Chicago scenery to produce photos that will be sure to take your breath away. Let us tell your story. Call us today at 847-687-2336 for a free quote or Contact Us Here and we’d be glad to help you with your big day!